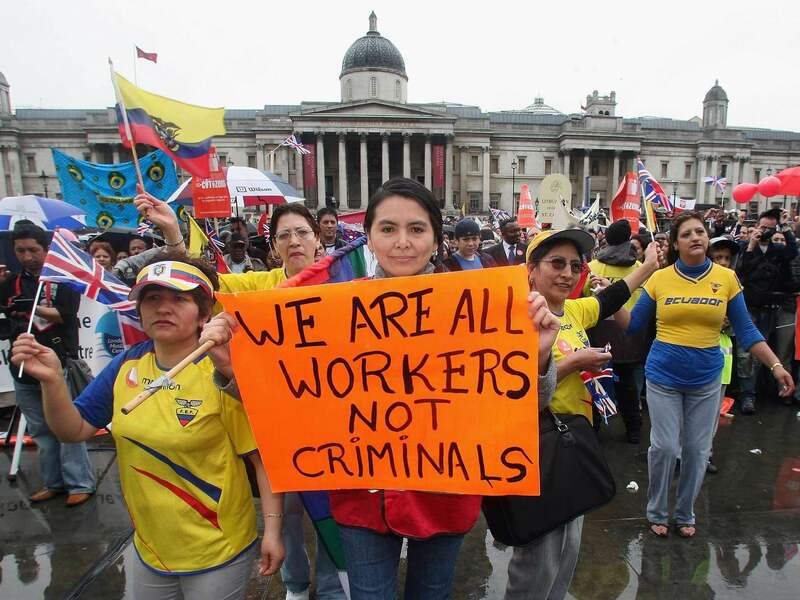 With as many as 2 million EU migrants facing the uncertainty of Brexit, with many non-EU migrants asking for asylum or simply working in the UK facing the exacerbation of immigration controls, on the 20th February 2017 a “migrant strike” has been proposed in the UK called «one day without us». The term – initiated from the US in 2006 and taken up in France and Italy in 2010 – drove a need for migrants to gain centre stage in their struggles against exploitation and for the right of freedom of movement – not only of their generalised contribution to maintaining wealth in society as workers but as the expression of their power of disruption. It is these experiences of strike that we plan also to re-animate in the UK: in spite of Brexit, this migrant strike will be a real European matter. The media is saturated with the typical stories of fear about migrants, about the changing characters of our towns and cities, the driving down of wages and the increase of unemployment and competition. Against this backdrop, the EU is assuming a very harsh policy of asylum and overall institutional racism, and it is also making internal EU migrants subject to stricter and stricter residency rules, fostering an absolute subordination to precarity and exploitation. While the return to national sovereignty and national «purity» is sold as the way out to the crisis, the very agreement between national governments and the EU institutions is the generalization of precarity, cuts in welfare and the downgrading of living conditions for all. Brexit did not cause this, but it will make these fights much harder to win. In this context, solidarity with migrants is not enough: by picking the strike as a political weapon, migrants are choosing not to be victims nor sheer numbers, but the protagonists of their struggles, calling all the others to join them in a common fight. We need to build the conditions so that refugees, migrants, citizens, precarious and industrial workers stand on the same side against institutional racism, for healthcare and education, for better wages and labour conditions. In this sense the 20F imposes to re-think the strike beyond its strictly legalized borders, as a practice of insubordination able to go through all society and connect the fight against exploitation and that against its political conditions. In thinking how to do this we can rely on previous experiences of migrant strikes, on recent strike movements such as the French struggle against the “loi travail” and the Polish women’s strike against the abortion ban, and we can gain force from the upcoming women’s strike of March 8th. For discussing this possibility of the strike and putting into connections different movements against exploitation and institutional racism, the Transnational Social Strike Platform invites you to a meeting towards migrants’ strike on February 20th. The meeting will take place in London, UK on 10th-11th February 2017, with workshops and plenary meetings, and will be a nationwide as well as transnational moment to discuss the political chance of One day without us and the strike as a political weapon. Stay tuned for more info about the program and the venue.